Each ethnic group has different anatomic features that tend to distinguish it from people of other groups. Among African Americans these may include thicker and darker skin, as well as variations in facial structure. These differences may manifest in the eyes, forehead, and particularly around the nose. Though many people who exhibit these characteristics are happy with their appearance, others may feel unsatisfied with the aesthetics or function their noses. This is where African American rhinoplasty comes in. This amazing, complex procedure can accomplish a variety of cosmetic goals, including reshaping the nose, making it larger or smaller, changing its angle, improving its proportions and other objectives. Many African American noses have a depression between the eyes appearing at the radix (the beginning of the nasal bridge). The nasal bridge is typically wide and flat, whereas that of other ethnic groups is often high and narrow. Both of these features can cause issues within the nostrils as well as breathing problems, particularly during sleep. African American patients sometimes may also have short, thin cartilage on the outside lower area of the nostrils, an over-extended nasal tip and/or issues with the angle between the nasal base and upper lip. Each ethnicity has its own set of nasal characteristics, and therefore different techniques must be employed to achieve positive results. Performing rhinoplasty on an African American patient does not mean tweaking the procedure used on Caucasians or other ethnic groups and balancing it with ethnic characteristics. Instead, in many cases, the procedure is different in every respect. The techniques used to treat an African American nose will depend on what the patient’s complaints are and what they are seeking to achieve. For instance, correcting a flat or low nasal bridge may require dorsal augmentation with cartilage grafts, in order to add height. Or, if the patient is unhappy about the size of the nostrils, alar base reduction (reduction and/or narrowing of the nostrils) may be performed In order to correct asymmetry or reduce the length of the nostril sidewalls. 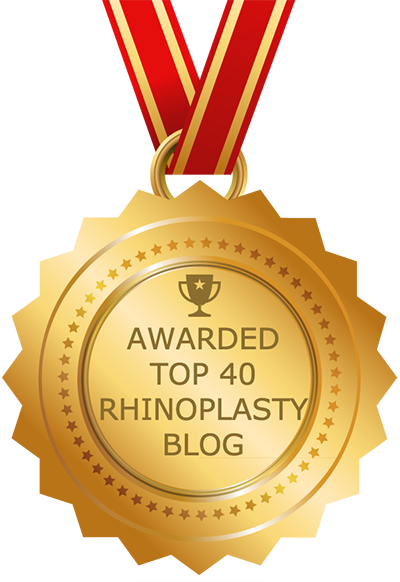 In the facial plastic surgery community, rhinoplasty for African-American patients is generally considered to be a specialization that only the most experienced and qualified surgeons can perform successfully. African-American noses typically have features that require different techniques for remolding, as compared to, say, patients of Northern European descent. Altering these characteristics through African American rhinoplasty is a complex process that requires the skill and experience of a talented surgeon who specializes in ethnic rhinoplasty and has extensive experience performing nose surgery on African Americans. Another thing you can do to help ensure that you are satisfied with the outcome of your procedure is to have realistic expectations. In many cases, those who are unsatisfied with the results of their surgeries had unrealistic expectations of the procedure. Plastic surgery will not fundamentally change your life or turn you into a different person. It can’t cure depression or other psychological issues. Some studies have suggested that plastic surgery can help with self-confidence, but this is by no means a given. And with African American rhinoplasty and other forms of ethnic rhinoplasty, it is also important to note that patients should not strive to look like another race, as this is unrealistic and would not be an aesthetically pleasing outcome anyway.